Duffedar malayalam movie directed by Johnson Esthappan featuring Kalabhavan Mani would go on floor at Irinjalakuda in September 2014. 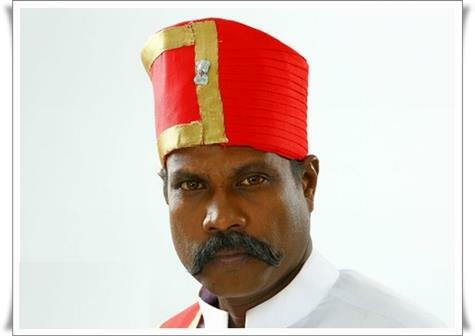 Mani plays the role of Ayyappan, a court keeper who retires from service but is emotionally attached to his uniform. Duffedar also captures the retirement and old age problems faced by Ayyappan. Ananya would play the character role of a nurse. Kalabhavan Mani who has made his active presence in South Indian film industry including Malayalam, Tamil and Telugu is gearing up to do the lead role in Johnson Esthappan's upcoming project 'Duffedar'. The movie which is expected to start rolling at Irinjalakuda very soon revolves around the life of Ayyappan, a court keeper who retires from service but is emotionally attached to his uniform. He continues to wear the uniform and goes to the Collector's office every day and helps those people who are in need. 'Duffedar' also captures the retirement and old age problems faced by Ayyappan. As it is a performance oriented role, Mani will be having lot of space to establish his mettle yet again. For the lyrics of Rafeeq Ahamed, the tunes are being set by Sejo John while the cinematography would be safe in the hands of Utpal V Nayanar. Johnson who has earlier helmed movies like Ponmudipuzhayorathu and Aakaashathile Paravakal would deliver a visual treat with his next venture. 'Duffedar' will be produced by Shajar K Bharathan under the banner Silver Screen Cinema. Ananya has been roped to play the role of a nurse in the movie. Moviegoers who have witnessed the acting skill of Kalabhavan on silver screen will be getting yet another opportunity to watch the performance of the actor. Made with a limited budget, the movie will capture the true emotions of a man while could be associated with the life of many people. Kalabhavan Mani is currently undergoing the shoot of 'Papanasham', the remake of blockbuster movie 'Drishyam'. Jeethu Joseph who has directed the original version is helming megaphone for its tamil remake too. Mani would give life to Police Constable which was played by Kalabhavan Shajohn in its original version. Ananya who has a long line of movies in kitty will be seen in a strong character in 'Duffedar'. Her upcoming projects include 'Kalyanism' and '100 Degree Celsius'. 'Kalyanism' spans through the happenings of a family settled in Dubai while '100 Degree Celsius' revolves around the life of present generation women.